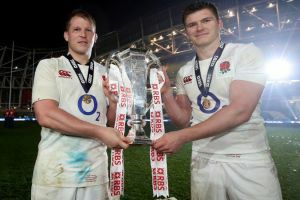 Eddie Jones expressed his pride at a second successive RBS 6 Nations title and vowed that England would come back stronger after missing out on back-to-back Grand Slams. Eddie Jones was furious with the tactics and called for World Rugby to revise the laws, and it is understood the sport's global governing body is assessing whether it needs to act. Jones was highly critical of Italy's gameplan, stating "if that's rugby, I'm going to retire". Jones added that "in football they say park the bus. I don't know what they had, but it was bigger than a bus". The Rugby Football Union, however, has chosen not to raise the matter directly with World Rugby. "This type of issue is discussed 'in the round' with World Rugby, through the normal structures and meetings," an RFU spokeswoman said.